It became apparent to me at the start of this half term that Ethan seemed to be falling short when it came to his spellings. He has gone from an impressive and acceptable 7/8 to getting none at all right and not quite able to see the errors either. Their education is obviously important to us and so with this my worried mother mode well and truly kicked in and I have since been trying to increase our frequency of practice tests and spontaneous words to spell out loud. But, with 2 other demanding little people in the mix you can imagine it isn’t always productive or even possible (Que mum guilt)! His maths are great and he always gets top marks in maths homework too – he just seems to click with that…and science too is something he talks about endlessly on those days, but English? Whilst he enjoys writing he seems to not be clicking as well with it. He isn’t particularly keen when it comes to school generally and found the new school year/new teacher set up a little worrisome, and now with his depleting test scores each week in spellings he seems to be feeling more awkward and I have hoped to find something that would ignite a learning desire and help him to improve in the process. 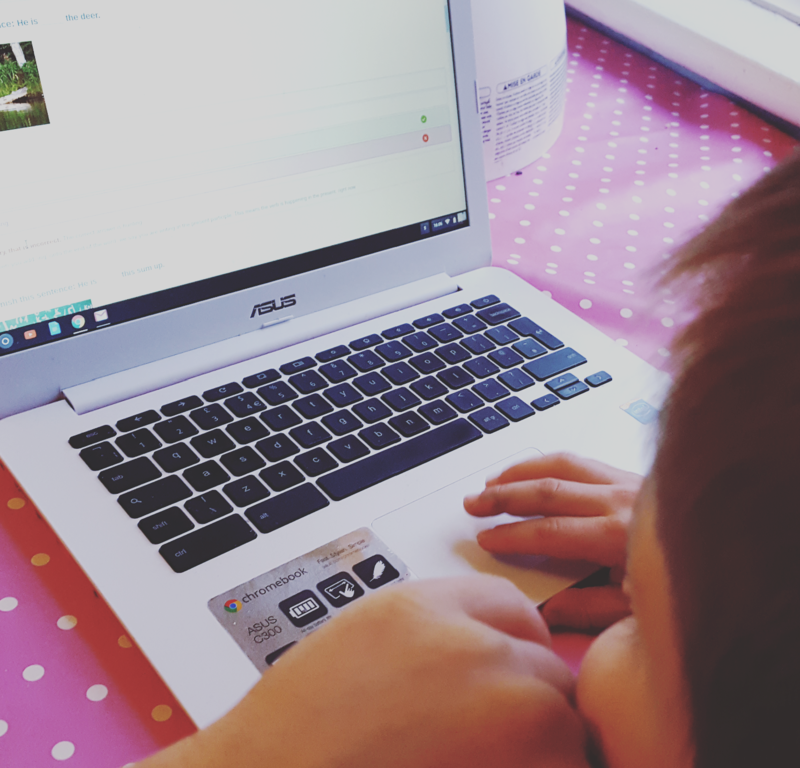 We were asked recently to review Education quizzes, which is the most comprehensive online source of UK National curriculum to help support children’s learning and revision throughout their various stages of education. It is used by students, teachers and tutors alike with a key focus to help kids be successful at school and once you have access, you can use it across several devices at once! 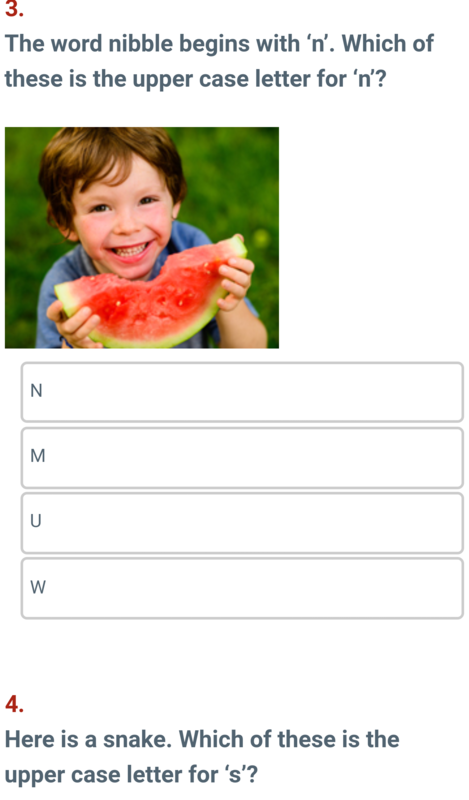 Quizzes are formulated by teachers and so go along with what the kids are leaning in class and discovering it has meant that I have a source rich with fun learning materials to support both kids at each of their individual learning stages. They love it and so do I….Ethan especially has been rather passionate about it and it certainly seems to be the answer we were searching for for that extra “kick”. Whether for fun together around the table after school, or to test them in the areas I know they seem to be flunking, it is a valuable tool that follows the curriculum and enables us to work together to test knowledge and build upon weaknesses. Because it is written by teachers and follows the various things they have been doing in class, it instantly helps them feel comfortable as they have some recollection when faced with the questions. I love it and have found it great for me as a parent to not only see where they are at and get a feel for what I should be doing with them outside of school (lets face it kids rarely go into depth on what they are learning once they leave those school gates), but also to know how to help them. It has given me better understanding of what they should know and be able to understand rather than me expecting too much or making tasks too simple…you can clearly see what type of questions they should be able to answer from what that have been learning at the ages of 4 & 6! Another great thing we love is that they get a big green tick when its right and then rather than just saying whether the answer is right or wrong, it shows the child where they went wrong and teaches them more in the process too. Both Ethan and Megan have enjoyed showing me what they know and having me help them figure out what they don’t or “can’t remember”. Ethan at 6yrs old is able to use it independently which was good for him and his confidence, and great for me to then work with Megan on reading, baking or letter formation. He also enjoys when we all sit together and discuss the tricky ones and then having the opportunity to do it again to try and do better! He has already gained a lot from the spelling quizzes and counting in 10’s and 5’s and its great to know that whilst on screens and having fun, they are also being productive! Our kids don’t have Ipads or tablets and rarely use computers at home either…their screen time simply comes in the form of films or children’s TV whilst I frantically prepare dinner, or need an extra 15 min snooze on a morning, so being allowed on my precious laptop after school to “work” (study) has been both exciting and helpful for us all. 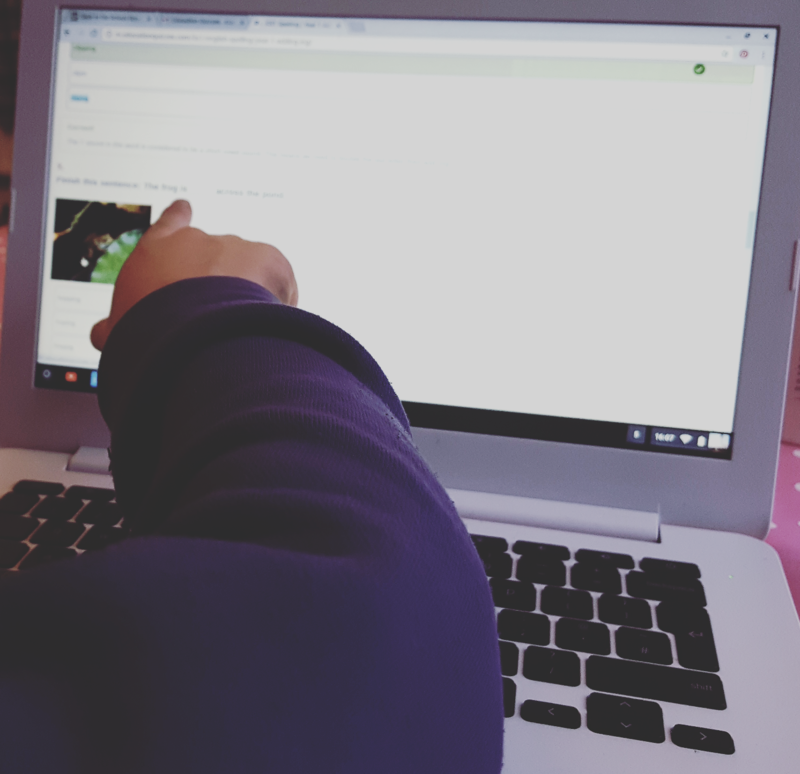 Its great to get a balance of fun, screen time and education and I can already see the benefits of this site for sats and GCSE revision too in the future. 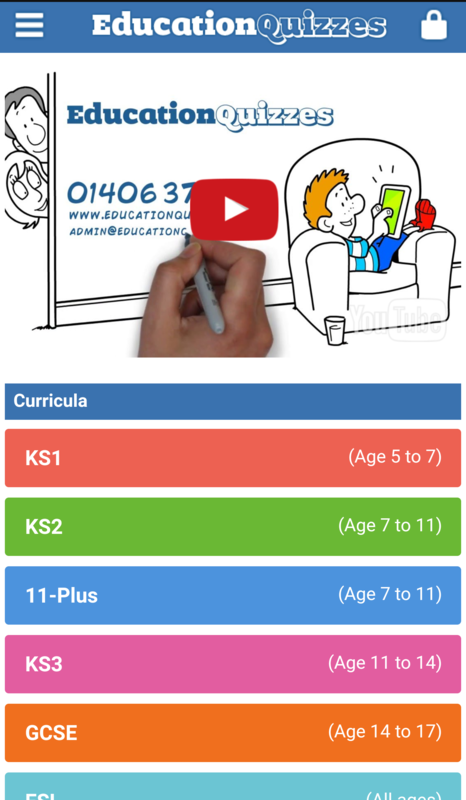 Subscription is £9.95 a month and can be cancelled at any time – useful for spontaneous revision sessions with older kids. But for me with 2 kids (one in YR1, one in Reception) I find that broken down over a month really isn’t much at all to help them in their learning and education and to have a source to bring us together to support them in their work. It is something that could come out with us to pass the time on journey’s too, but wherever we choose to access it, we are confident it is good and coinciding with the curriculum they are learning at school! If you are your kids are interested in Nature too, then why not check out Education Quizzes daily nature blog here. 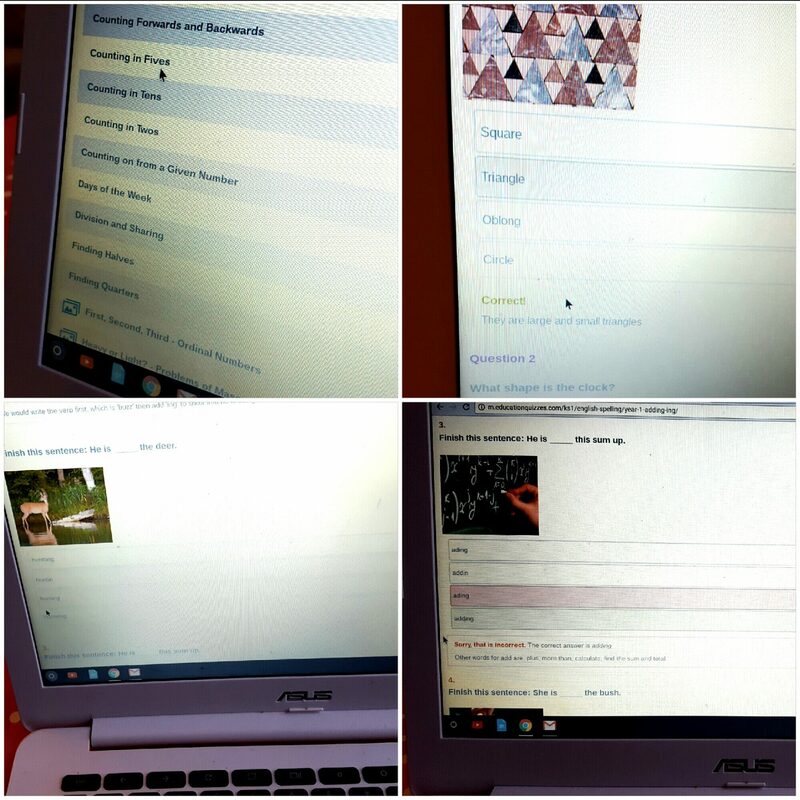 *This post is sponsored by Education Quizzes and is our honest thoughts and opinions of their site. Even though my kids are a bit younger, I can already tell that supplemental computer lessons will be a big component of their learning. My twins are just 4, but we’ve turned on to abcmouse.com. It’s incredible how interactive teaching like this resonates with them….